I first learned about Hot Tools at my hair salon many years ago. My stylist was using one of their curling irons to create big beautiful curls in my hair and she was doing it quickly! I was so impressed that I bought a Hot Tools curling iron from my salon and I still have it today. 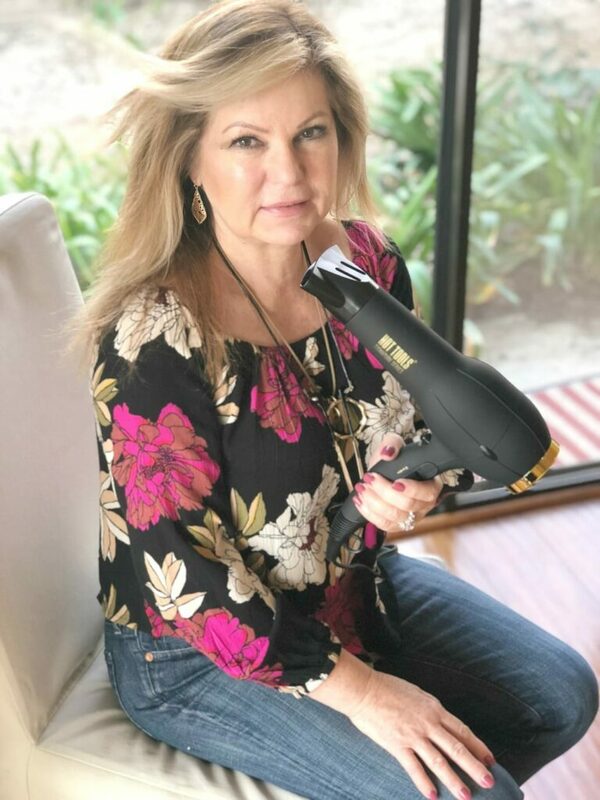 I thought the products could only be purchased at a salon but today I am thrilled to learn that Hot Tools Signature Series is now available at Walmart and Amazon and other mass retailers. If you are like me, I lack the patience and the time to spend a lot of time blow drying, curling or straightening my hair. Plus, I have always felt that I “just don’t have the knack for doing my hair.” For me, one of the ultimate splurges is to have my hair professionally blown out when I have an event or a trip. Then I use dry shampoo for as many days as I can so I don’t have to spend time on my hair. Well, that is about to change thanks to my new Hot Tools. In just a few minutes, and a few swipes, I had my hair looking really good. Now I am confident that every day can be a good hair day with the right tools because Everyone Deserves Beautiful. Let me show you the three Hot Tools I tried from the new Signature Series. Now I can have salon quality blowouts at home. The cost of this salon-quality hairdryer is about the same as the price of one blowout! It features a motor designed for turbo drying with maximum airflow and up to 40% faster results. It has 2 speeds and 6 heat combinations for styling versatility and great results on all hair types from thin to coarse and every hair type in between. The Ionic® Technology helps reduce frizz and static for healthy-looking, shiny blowouts. Tip: Try the Cool Shot button after you style your hair to set the style for an even longer-lasting hold. The hairdryer feels great in your hand, not too heavy, but it also feels very substantial. It comes with a concentrator and diffuser which I am excited to try soon now that my hair styling confidence is getting stronger! Now I understand why stylists love this curling iron. My new wand is a 1″ and I love the size of the curls. The wand heats up quickly and it is so easy to use. You can adjust the temperature for your hair type and it retains the heat so you can get your hair curled fast. 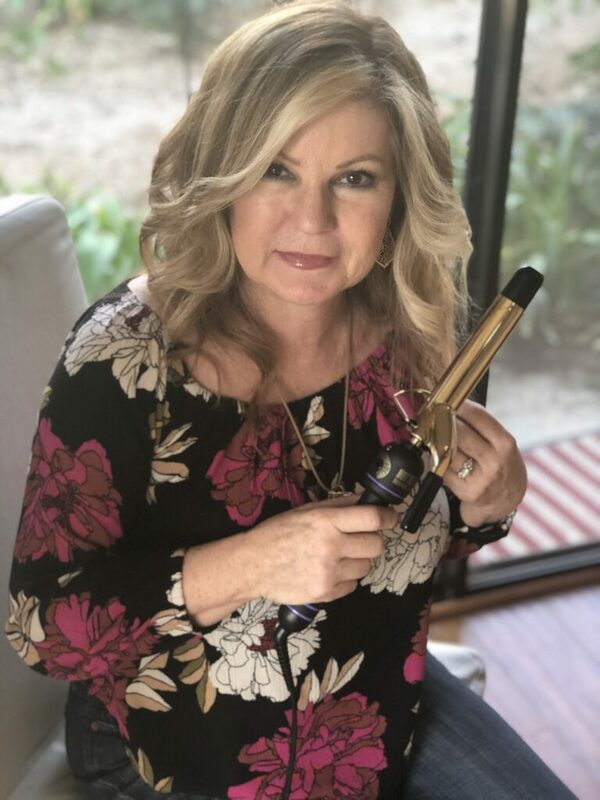 My first curling iron from Hot Tools has a bigger barrel and makes bigger curls. It still works great but the trend these days is to have smaller curls so the 1″ curling iron is perfect. Tip: To get beachy waves, my stylist taught me to leave the very end of your hair out and not curled. 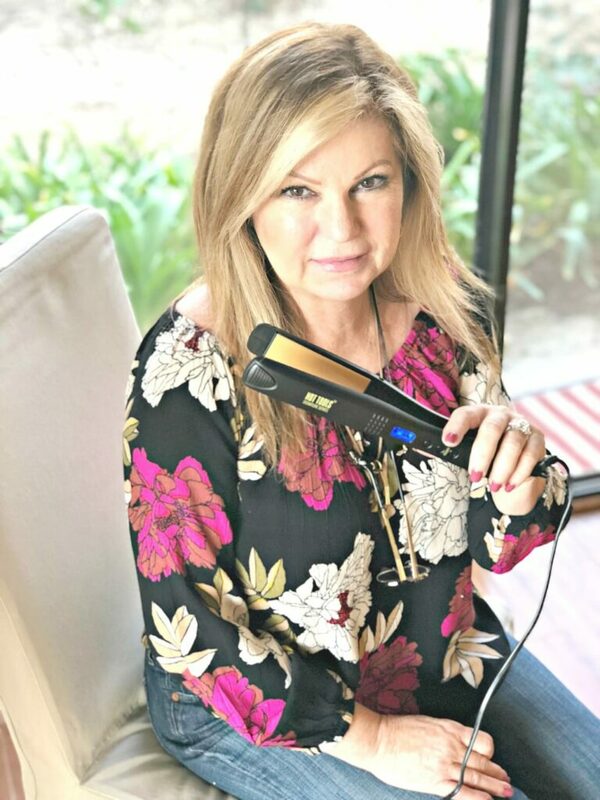 I was thrilled to try the new Hot Tools Signature Series Digital Flat Iron. This was the hair tool that I was least familiar with. I typically do not straighten my hair but now I love how it looks. With just a few passes, the flat iron de-frizzes and leaves your hair smooth and silky. I was really amazed at how easy it is to use and how fast I can straighten my hair. The flat iron heats up to 440F so it can handle both finer and thicker hair types. Additionally, the LCD temp display makes it super easy to know what the setting is. It also has an automatic shut off which is great peace of mind. I have been known to forget to turn things off when I get distracted. It is designed with top of the line ceramic technology to help reduce frizz and add shine for ultra-sleek, long-lasting results. TIP: Start at a lower heat setting to help reduce heat damage, then work up if needed. 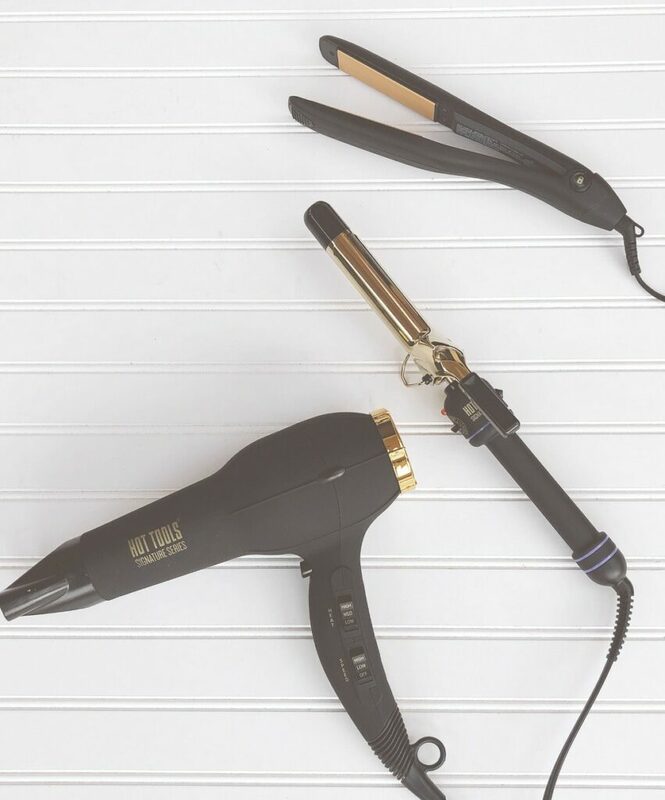 Hot Tools would make the perfect gift for anyone who wants to have a good hair day without spending all day! You will be thrilled with the quality of these hair styling tools! They get an enthusiastic two thumbs up as a More with Less Today great value.